Pressure from navel orangeworm (NOW) has intensified in pistachios the past few years, and growers have become all too familiar with this damaging pest. 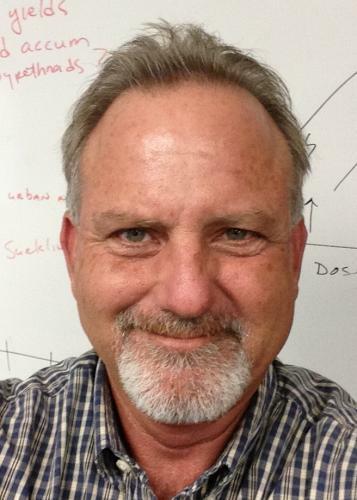 Over the past 18 years, Brad Higbee, Field Research and Development Manager at Trécé, Inc., a biotechnology company specializing in insect pheromone and kairomone products, has directed research on NOW in pistachios, resulting in dozens of scientific articles about various aspects of biology and management. His research and findings focus on trends in susceptibility, better ways of scouting, sanitation, mating disruption, and insecticides for use in tree nuts. 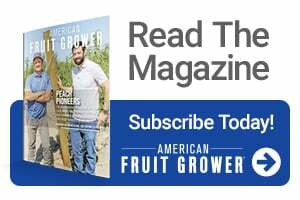 He shares his thoughts going into the 2019 season and how you can prepare and prevent NOW pressure in your orchards. Q: When do you start monitoring for pests? A: I like to start early in the year –– as soon as the weather warms up. Monitoring can be accomplished through traps and lures. Most growers have a system down to the number of traps and lures they need per orchard. I recommend that growers look at early splits and mummies, the nuts remaining from previous year’s harvest, to gauge NOW pressure. The current year’s crop is usually not susceptible until later in the season. Depending on the weather, less insect activity happens when it is cold and rainy. Q: How do you observe pistachio tree susceptibility and scout for pests? A: During a caged branch study, we found that the female NOW will lay eggs anywhere – known as dumping behavior – when caged. However, in my recent studies, it was the split or stretched hulls that primarily had eggs and were the only types of nuts that had live larvae. Trees with these categories of nuts are more likely to have NOW infestations. Practically speaking, it is difficult to completely destroy the past year’s crop. Mummy nuts will remain. Equipment that works well with almonds is not as efficient with pistachios. It comes back to them being smaller and harder, like attempting to mow marbles. I recommend sampling mummies and new crop nuts from July through October. Record the percentage of split shell nuts infested with NOW, as susceptibility will come at some point. The goal is to have insecticides in place before plants become susceptible. Q: What is your management routine for NOW? A: The way NOW management works in pistachios, growers need to look at two factors: degree-day accumulations, which inform about tree and NOW phenology, or development. This is a good baseline combination to guide growers on treatment decisions. You can see NOW come and go based on trap counts. Most of the crop does not become susceptible until after the first shake. The two most widely used insecticides yielding the most consistent results are the diamide class and insect growth regulators. The insecticides in these classes with the most effective track records are Altacor (FMC), a diamide, and Intrepid (Corteva), an insect growth regulator. Two other insecticides that have served well over the years, but are now showing diminished effectiveness, are in the pyrethroid class, Brigade (FMC) and Warrior (Syngenta). They became registered for use in almonds and pistachios about a decade ago. Today’s most effective management practices have been tank-mixing a pyrethroid with either Altacor or Intrepid with the goal of loading residues prior to the first shake in the orchard. Insecticide applications after the first shake have not been particularly effective. Note, pyrethroid use in pistachios is now on the radar with the EPA and under review. Growers must take precautions for their operations if regulations or requirements change. In addition to traditional insecticides, polyvinyl chloride (PVC) passive dispenser mating disruption technology is proving effective alone and when combined with spray protocols. Q: What are your 2019 application recommendations? 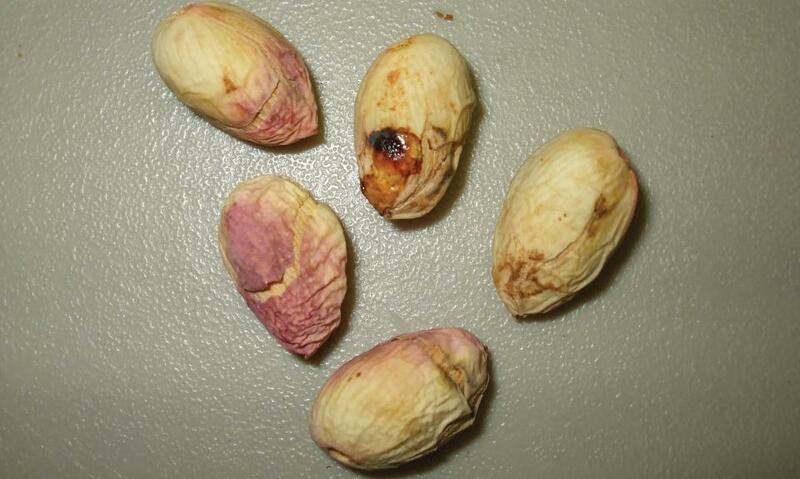 A: In both pistachios and almonds, there is a real challenge to deliver insecticides to the target ― the nuts themselves. This is the only place residues will do any good. All these products are created to impact eggs, hatching eggs, and developing young larvae. This is the primary window when we want to kill the pests. The only place immature NOW occur is on the nuts. Spray coverage in the upper tree canopy is key to control. Growers must tune up sprayers and get them into top operating condition, using multiple and different modes of action and following maximum label rates for best efficacy. Rely on orchard history to know what you can expect, but also prepare according to current conditions in any given year. Q: What is the opportunity with mating disruption? A: Previously registered mating disruption products are all mechanical. Aerosol dispensers, aka “puffers,” have been around about 14 years. The newest technology, which has worked very well, is PVC strip mating disruption technology. Known as “meso dispensers,” Trécé recently introduced them. There are no mechanical or moving parts that can fail. The pheromones release constantly and last all season. You do not need to remove them at the end of the season. Mating disruption is a proven way to reduce damage further when added to an existing program. All you need to do is open the foil package to begin releasing pheromones from the meso dispensers. Hang the mesos in a grid pattern throughout the orchard using a pole to place them in the canopy. The PVC strip is impregnated with pheromones, and while more units are needed than puffers ― we recommend 20 per acre ― the cost per unit is much lower. Typically, the mesos will last one season and past the harvest window. Mating disruption technology is proven effective. If you have lower damage levels, maybe you don’t need to change from your current management practices. If they are higher, and you do not want to spray anymore, mating disruption is a good approach to try. Q: What do you think the 2019 season will look like? A: I am not really into predictions because there are too many variables. It can change from year to year, and that is the problem. We don’t have an easy way to predict this season’s pressure. However, I would expect heavy NOW pressure if we have relatively warm spring weather. I recommend growers start early and create their plans to prevent these pests from feasting on their trees. 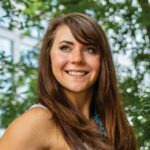 Weihl is a freelance writer with an undergraduate degree from The Ohio State University in agricultural communication and a minor in agribusiness. She has worked in seed and agrichemical sales as well as on her family’s organic crop and cow-calf beef cattle farm in Northwest Ohio. She currently resides in Atlanta, GA. See all author stories here.